The Maharashtra Association of Resident Doctors (MARD) is all set to protest against the state’s chief minister’s idea to implement 7 years compulsory rural bond service after completely MBBS course. The Resident doctors will mark the protest by wearing black ribbons during the day. A recent public statement by the Maharashtra Chief Minister Devendra Fadnavis has drawn attention to the issue, with the minister expressing strong concerns over the status quo of healthcare services in rural areas. 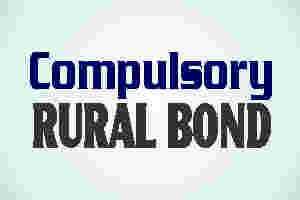 He clearly opined that the state government is in favour of increasing the compulsory bond service in rural areas for seven to ten years after the completion of MBBS course. Taking this announcement in his stride was the state director of medical education and research (DMER) Dr Pravin Shingare. He implied to have said that the state government has plans of starting a new government medical college (GMC) where students will be admitted with an undertaking that they will serve in rural areas for 5-7 years in government hospitals only. “If 7 years bond after MBBS is done, it will be 23 years of study and service after 12th. We condemn the statements made in the strongest terms and hope that the government will scrap this proposed populist but ineffective policy within next 15 days”. To protest the issue, MARD declared that all resident doctors in Maharashtra will be wearing black ribbons.